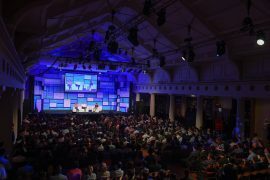 Dublin’s credentials as a leading global centre for both financial services and financial technology (fintech) were reflected in the recent three-day MoneyConf, held at the city’s historic RDS Arena in Ballsbridge. Enterprise Ireland, a main sponsor of MoneyConf, is a semi-state agency that helps what is a relatively small country punch above its weight economically. Its remit is to work with the country’s exporters and it supports around 4,000 companies in the IT, food and industrial/consumer products sectors. Enterprise Ireland is also a major fintech investor, supporting start-ups with grants targeted at spurring employment growth along with research and development. As they develop, it supports their marketing and management strengths. Joe Healy, head of Enterprise Ireland’s high potential start-up division, says that the agency has a keen eye for high potential firms. These are businesses that demonstrate an ability to start generating annual revenues of €1 million-plus within a relatively short period and have ambitions to expand beyond their domestic market and compete internationally. Ireland has a world-class ecosystem for fintech start-ups, where new companies work alongside established giants such as Google and Intel, adds colleague Mike Brennan. 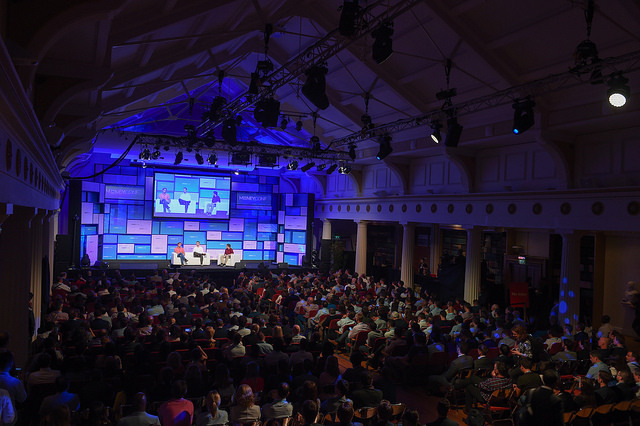 In addition to financing – a €750,000 start-up fund was announced this week – the agency brings in corporate partners to work with start-ups and help them surmount the challenges that can otherwise stifle a fledgling business. “There’s a lot of pressure from the Irish taxpayer for us to justify our performance,” he adds. New companies in areas such as artificial intelligence, blockchain and deep learning, is adding to the demand for talented individuals. Fortunately for Ireland there is a steady stream of qualified graduates and internationally-famous research centres. Many of the new intakes opt to work for start-ups in preference to established names. Add to this the overseas funds ready to provide capital, such as Amadeus Capital Partners that targets funds for AI innovation. 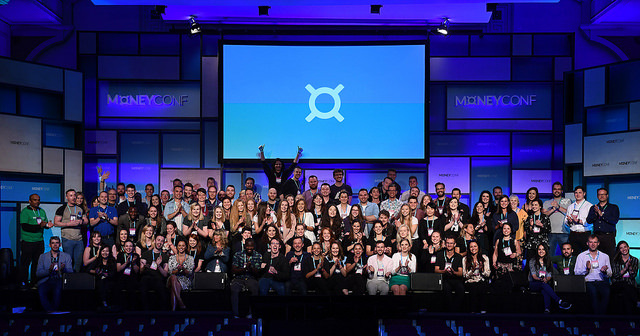 MoneyConf provided a platform for fintechs backed by Enterprise Ireland to demonstrate their work in a variety of areas. Aid:Tech, a company “using technology to fight corruption” in the words of chief digital officer Niall Dennehy, is already utilising blockchain to securely distribute international aid in refugee camps. The technology proved itself in 2015 in a project to issue digital identities to refugees in Jordan and Syria by enabling charities and other non-government organisations (NGOs) to track the movement of international relief funds. This month Aid:Tech launches TraceDonate, an app that enables donations to be tracked via blockchain digital assets to provide full transparency on where each flow of funding goes from inception and what exactly it is spent on. The company has also partnered with PharmAcess, a group that aims to improve access to healthcare across Africa, in an initiative to improve antenatal care for babies in Tanzania. Earlier this month the initiative, called Chain of Trust (CoT), saw the first “blockchain baby” delivered and CoT will work to ensure that money can be securely donated to mothers. 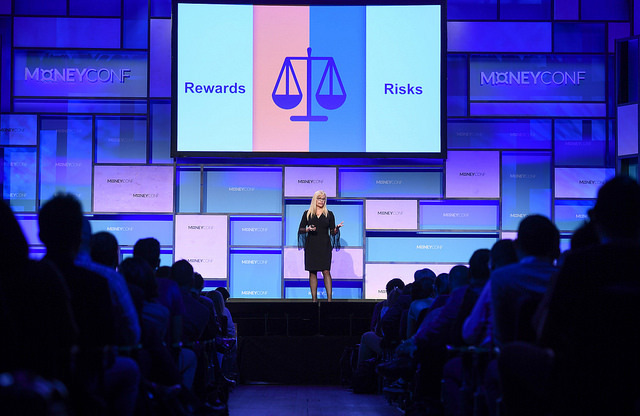 Other companies showcased at MoneyConf include Governor Software, a regtech firm focusing on governance and regulatory oversight. “Compliance is complicated and expensive, while the fines for non-compliance are mounting daily,” said chief executive Richard Pike. “Yet the tools still employed by the majority of companies are expensive, unstructured and time-consuming, with a continuing heavy reliance on Excel spreadsheets. Governor’s software, which was three years in development, is a tool for senior risk and compliance executives to “join the dots” in communicating the company’s regulatory obligations, understand its status and evidence its compliance. The company commenced its sales and marketing efforts earlier this year and has already raised funding of more than €1 million. As Kieron O’Brien, sales director of Know Your Customer observes, the name of his company is self-explanatory. The business was formed two years ago, when an Irish company wanted to onboard customers in China and sought assistance with the KYC process. Know Your Customer assists compliance officers of firms across the financial services sector, which need efficient customer ID verification. It provides an efficient identity verification solution that standardises the customer lifecycle management process, using machine learning to review information about the company and identifying any issues that need investigation, reducing the average industry client onboarding time from 26 days to a single day. Founded in 2013, Corlytics’ focus is regulatory risk intelligence space and its customers include banks, insurers and asset managers. The company also works with regulators, including the UK’s Financial Conduct Authority (FCA). Its legal expertise is derived from a mix of artificial and machine intelligence with human expertise. “We source and analyse regulatory notices on a global basis, taking the information and analysing it to build up a depository of regulatory intent and impact,” says CEO John Byrne. “From this, we decide what are the key focus areas and what are the impacts if anything goes wrong? “We can advise clients on the types of action that constitute market abuse and other misconduct, as well as the potential financial penalties incurred for non-compliance. While in the post-2008 era, banks have become better in recognising where they went wrong, but haven’t always learned from past mistakes. In addition to its Dublin HQ, Corlytics has offices in New York and London, which assists its work with the FCA. “The UK regulator is seen as a leading authority in calculating the likely impact of new measures will be – not all regulators have the same level of sophistication,” says Kevin O’Leary, VP product management. “The international regulatory landscape means we’re been both multilingual and multicultural since Day One,” adds Byrne. “So, for example, our team includes individuals fluent in Mandarin. Taking its name from duine daonna – Celtic for human being – Daon is an international biometrics and identity assurance software company set up during the tech boom of the late 1990s. Its biometric platforms, which include fingerprint, voice and iris verification, are used by the likes of Mastercard and Citibank, but Clive Bourke, its president for the EMEA and APAC regions, also singles out India for special mention. The Indian government, which launched its Aadhaar biometric identification system in 2010 and opened up bank accounts for 240 million Indians in the space of a few months, has developed the world’s most ambitious national identification system. “Our starting point when developing our platform was deciding which biometric type was most important,” says Bourke. “We concluded that it depends on the particular use, which meant developing an agnostic platform. “You can present the user with a choice; he/she can decide which form of identification they like best. Fingerprint is typically the favourite method, followed by face, PIN and lastly voice – although voice wins out in call centres. “The popularity of cryptocurrencies is now driving more people online, so there is a growing call for greater online identification. An individual can scan a document and take a selfie. Daon benefits from the global growth in IT security. “We recently signed a contract with BNP Paribas for their wealth management customers, who previously needed hard tokens to access their portfolios, but can now do so via their phone,” says Bourke. With its slogan ‘The smarter way to send and receive business payments”, TransferMate was born out of the Taxback Group (TBG), which was formed back in 1996 and today combines nine businesses operating in 30 companies worldwide. “Our remit is to help companies that are attempting to grow internationally by relieving them of their back-office pains,” explains its chief commercial officer, Gary Conroy. “As the group expanded internationally it was clear that moving money via the traditional banking rails didn’t work. TransferMate launched in 2010. “We set up a global network of 200 bank accounts, regulated in different regions of the world – including each US state, which took over four years to accomplish,” says Conroy. “This allows us to move money across borders far more quickly than Swift. Conroy praises SEPA Inst as a great development, helping banks outside Europe as well as those in the region. “Once faster payments have been established in the US, everyone will benefit,” he forecasts. “There will inevitably be a move to electronic payments, provided they can demonstrate a greatly superior service. In anticipation of future growth TransferMate has opened offices in Sydney and San Francisco, as well as expanding its New York office. “There are a lot of new and exciting fintechs out there, including Stripe and Square – but there’s still a lot of disruption still to come in B2B cross-border payments,” Conroy concludes. “Bringing banks together to solve global regulation” is the mission statement of Fenergo, which has been providing software for the capital markets since the depths of the global financial crisis in 2008. Over the past decade the Dublin company has developed a team of 600 experts in AML, KYC, tax and regulatory technology and automation, with offices in London, New York, Boston, Sydney, Singapore, Tokyo and Abu Dhabi. “We talk to banks about their clients’ lifecycle management, and not just onboarding,” says Greg Casey, VP sales Europe. “Banks use our service most for high-value onboarding as part of their global transformation project, or simply as part of pain management for a specific issue. We develop a solution in response to specific regulation, handling both the hard work and the heavy lifting. “We always stress that we’re a tech company and not a bank. In tandem with our Client Advisory Board (CAB), Fenergo regularly hosts Regulatory Forum that addresses multiple regulators in multiple jurisdictions. We also publish briefing papers and review what’s in the regulation pipeline. “Check press reports regularly, and you see that the fines for regulatory non-compliance are growing steadily bigger. Different regulators also tend to take a different view of the same issue – with US regulators proving particularly aggressive. Individuals now risk going to jail, not only in the US, for non-compliance. Your firm not being ready by the deadline when a new regulation is introduced is no longer an excuse. Casey says that regulation will continue to evolve and become more focused. “Anything that banks can do to ease the impact is of interest, as a major percentage of the profit is spent on regulation compliance. Fenergo intends to be ready to meet the challenge. Having secured a $75 million investment from US private equity firm Insight Venture Partners three years ago, CEO Marc Murphy says the company’s next objective is to carry out an initial public offering (IPO) by 2020.